RFP Associates, LLC has been renovating our church sanctuary. They are doing great work! 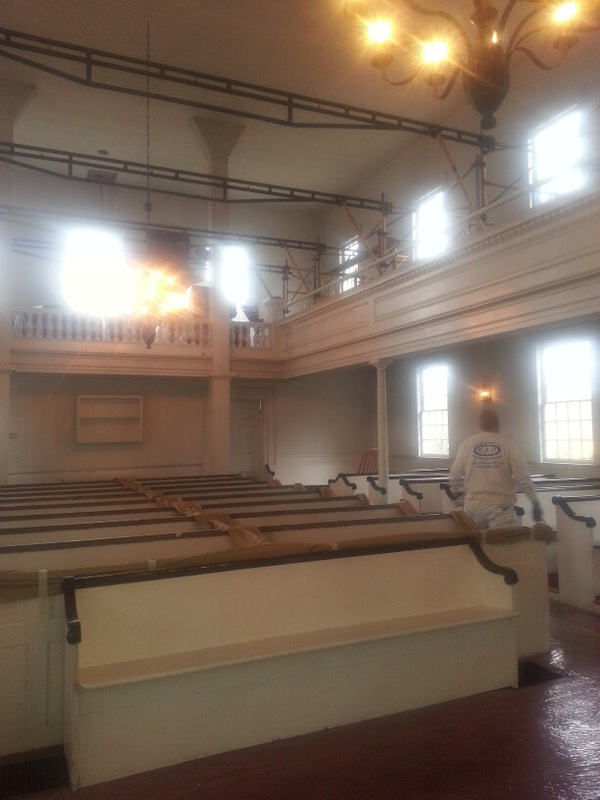 We’re almost ready to start using the sanctuary again. Until then, here are some photos of their progress. Starting on January 23rd our church will be under renovation. We will meet for worship in the fellowship hall in the old academy building during this time. Please plan to come to worship next week in your work clothes to help us empty out the church in preparation. All hands are needed!